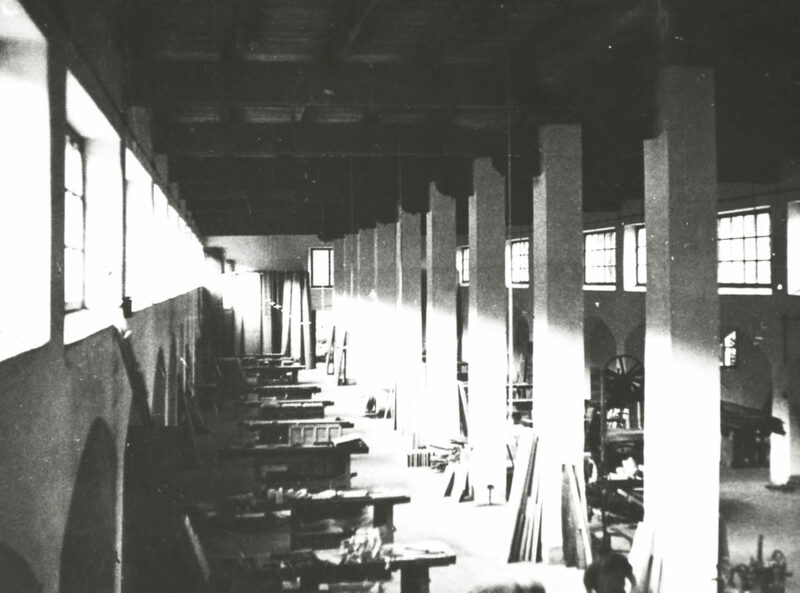 Enrico Schiffini senior, the Company’s founder, opens the first workshop, specialised in wooden nautical fittings for the ships leaving La Spezia Navy Dockyard, supplying both the Royal Navy and civil/passenger ships. 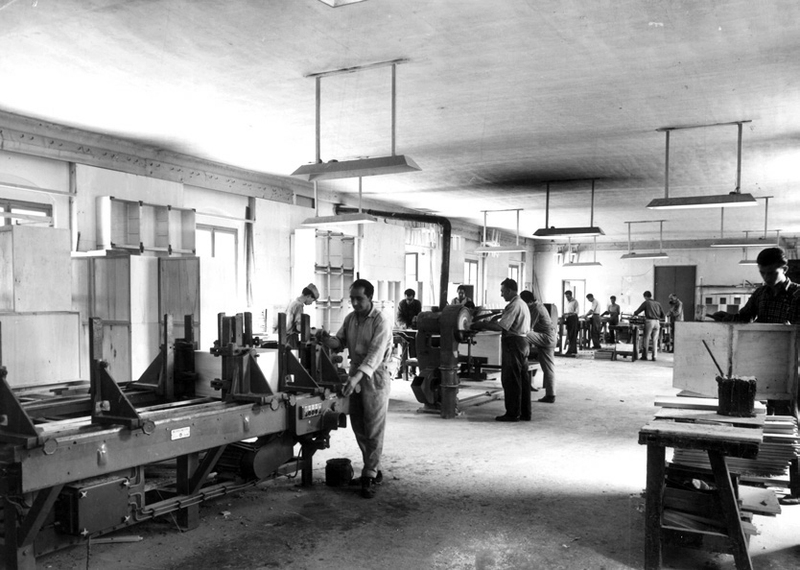 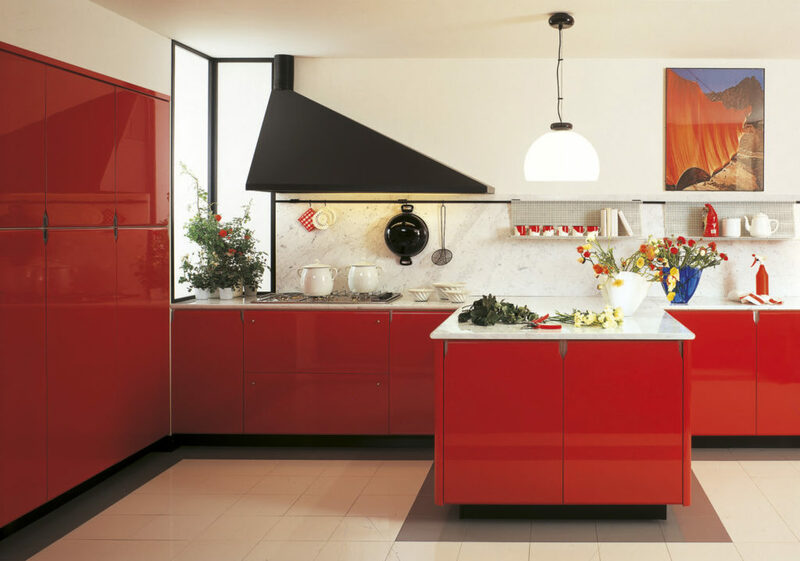 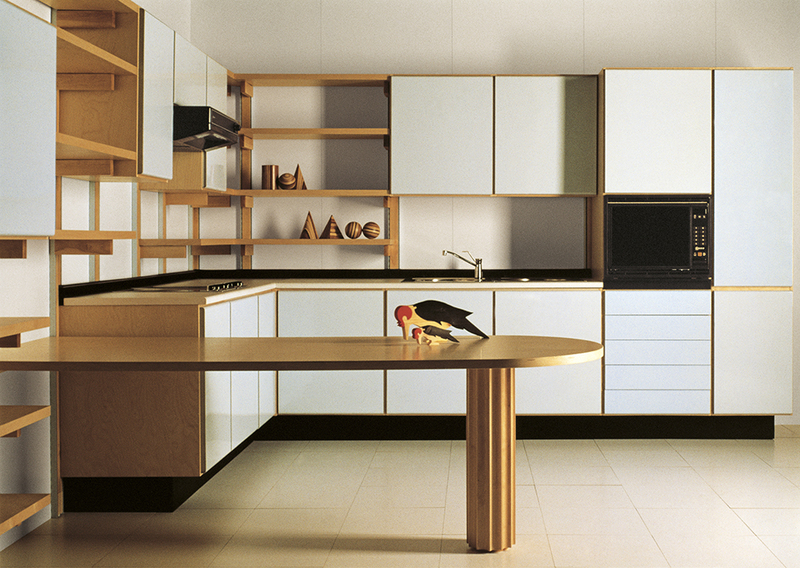 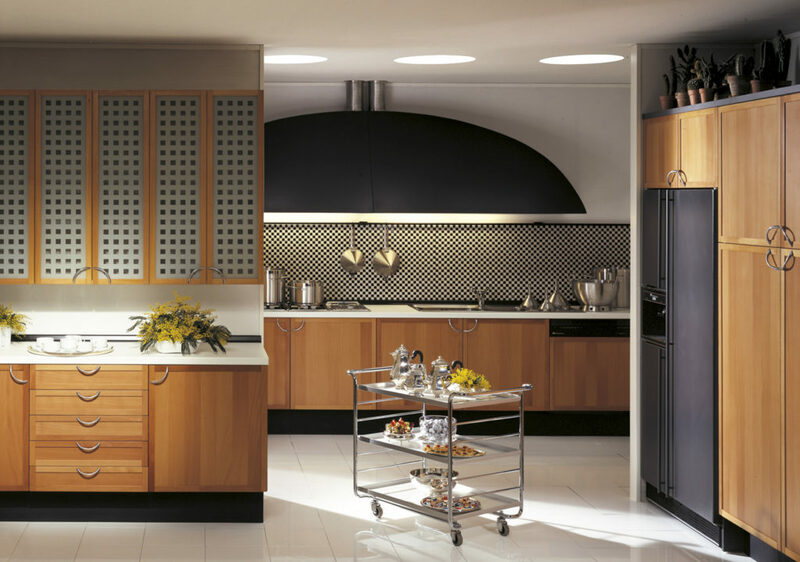 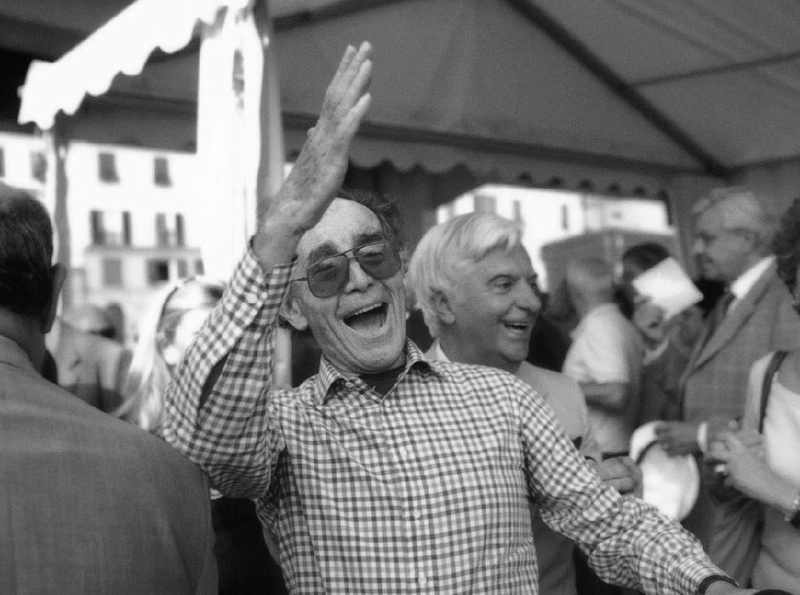 Following the almost complete destruction of the naval base during World War II, Giuseppe Schiffini, Enrico’s son, reestablished the company deciding to focus on the manufacturing of modular kitchens. 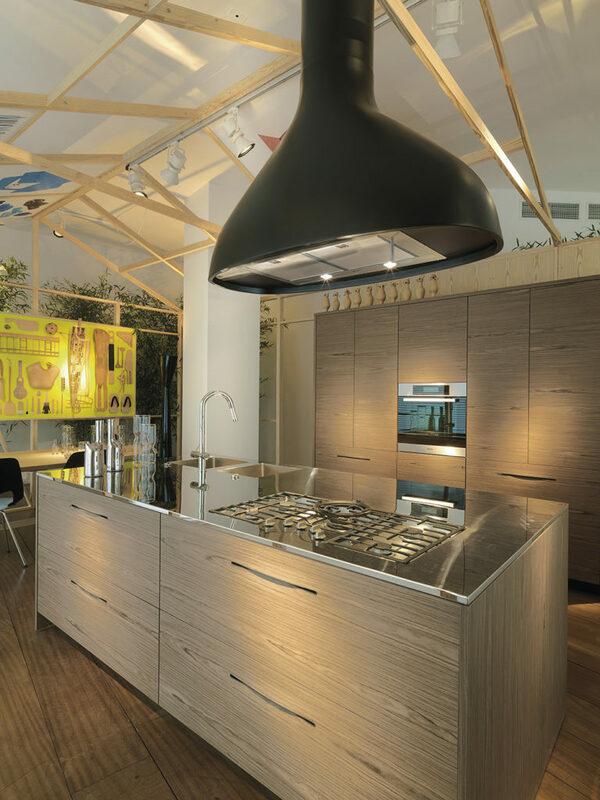 Brothers Carlo and Enrico Schiffini join the company with the aim of modernising it: the revolution begins with the production of Prima, the first modular kitchen entirely made of wood. 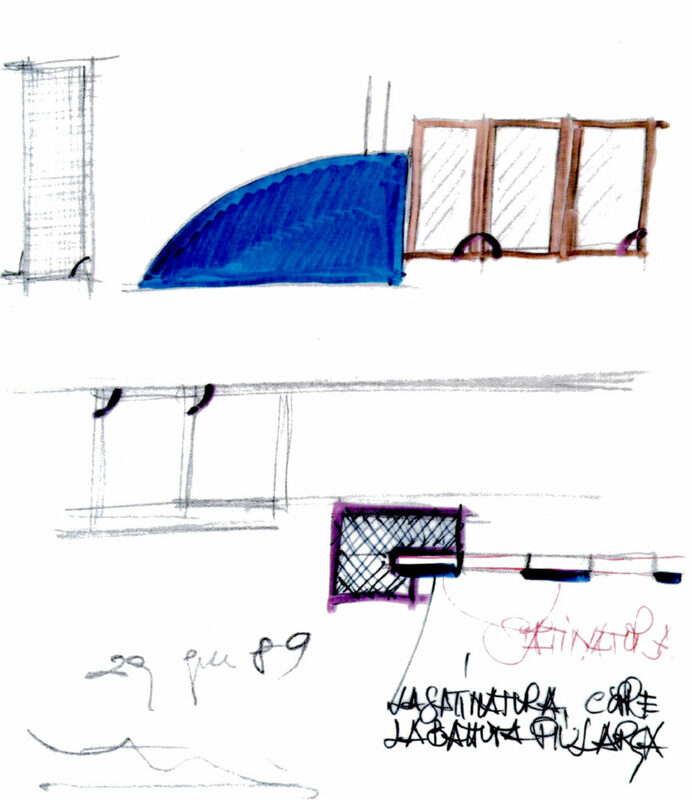 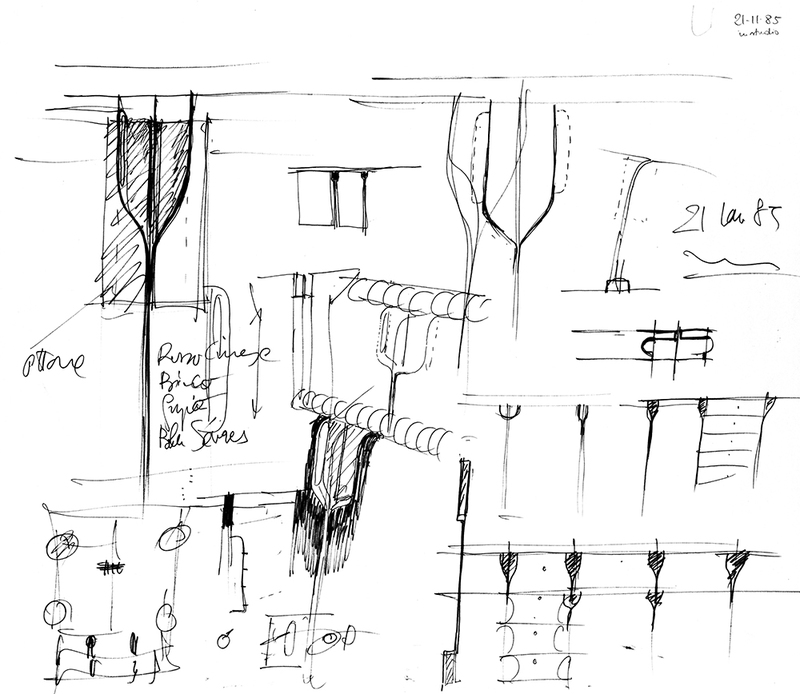 The beginning of a collaboration that will last for over forty years with Vico Magistretti, an architect who experiments with designing kitchen furniture: Timo is born. 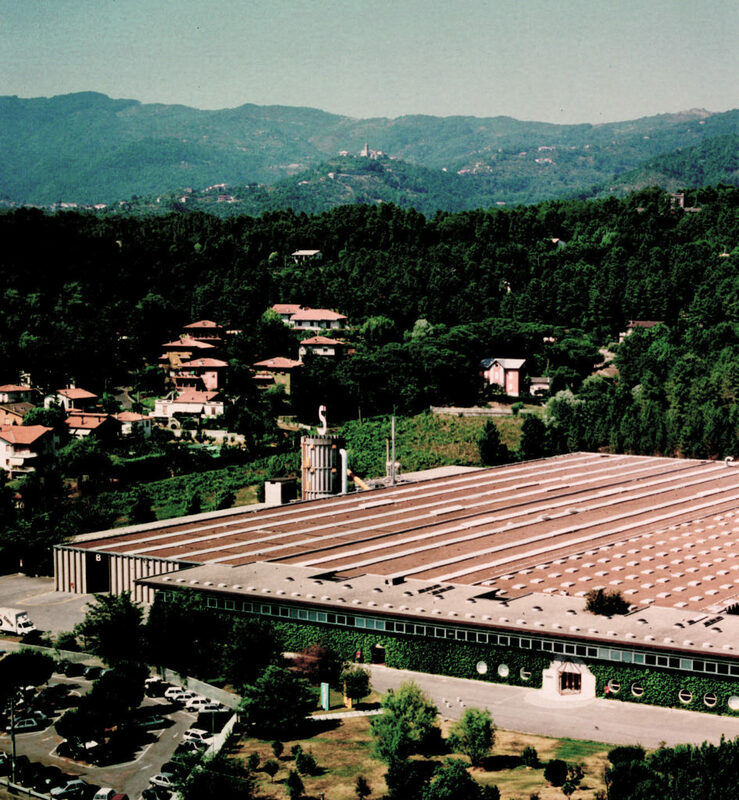 A new production plant opens in Ceparana, still the headquarters of the company today, 30,000 square metres. 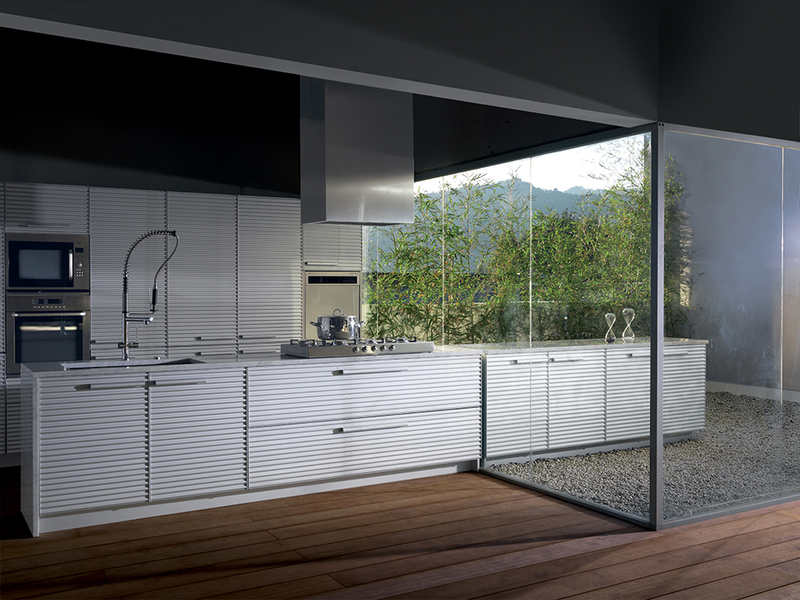 The new Combimax kitchen by Tito Agnoli is launched. 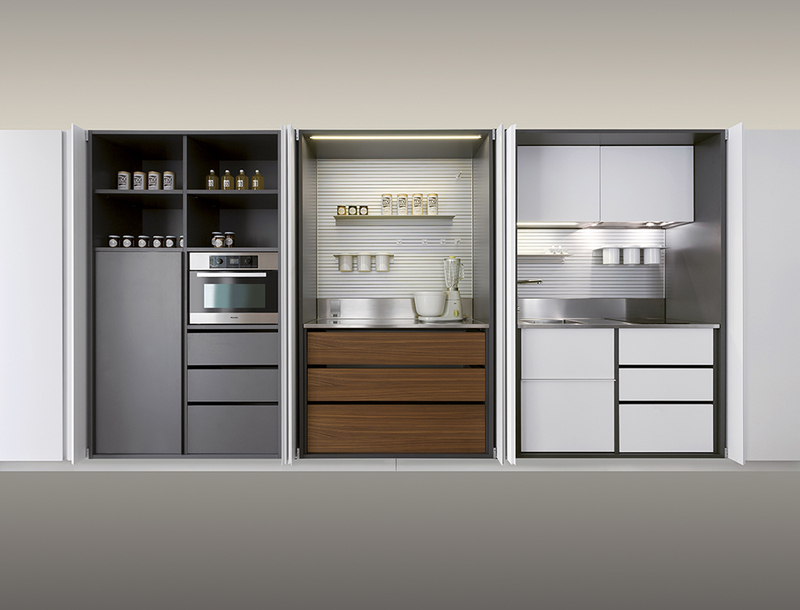 Magistretti designs Arnia in collaboration with Schiffini’s technical team: the innovation is a new Wall System in which cupboards, shelves and accessories can be arranged at will, thanks to the use of vertical structures equipped with supporting racks. 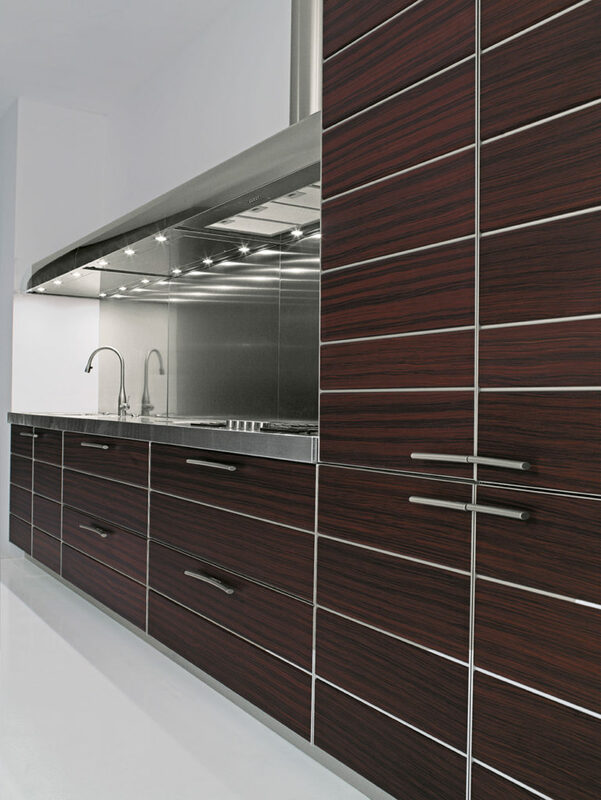 Magistretti designs Cina: a lesson in classic modernity, with a hidden handle obtained with groves at the top of the doors or on the bottom of the wall units. 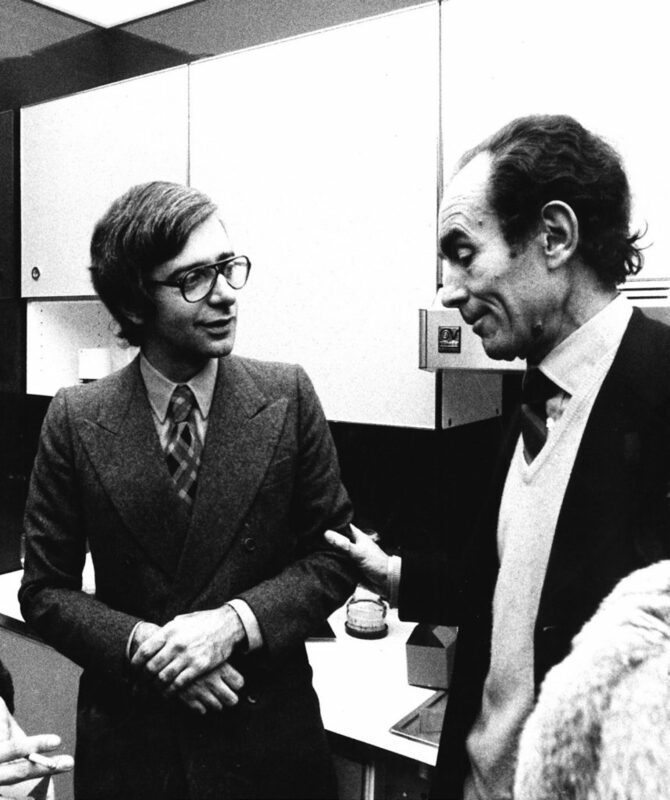 The series is still in production. 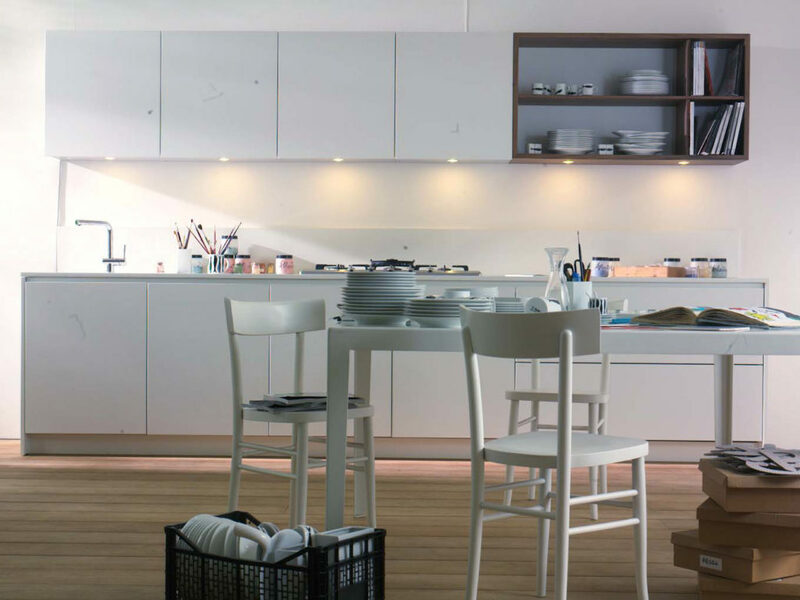 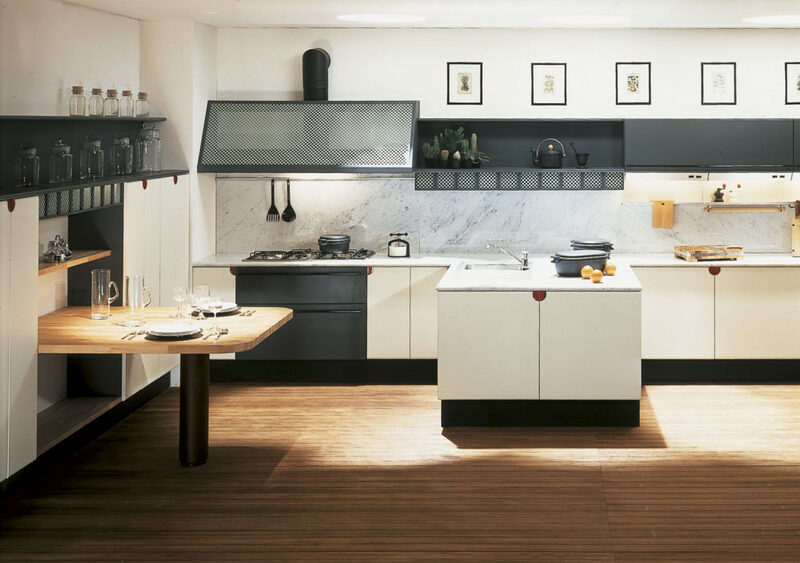 It is the year of Magistretti’s Solaro kitchen, with stripped handles that recall the wheels of regatta yachts and with the Space System: large extractable drawers instead of traditional doors. 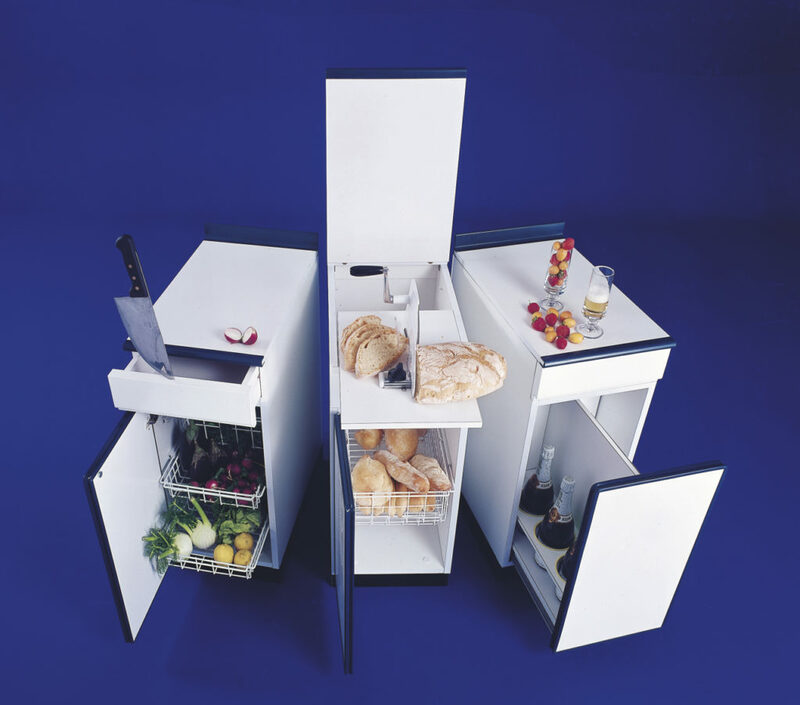 A revolutionary system in the kitchen. 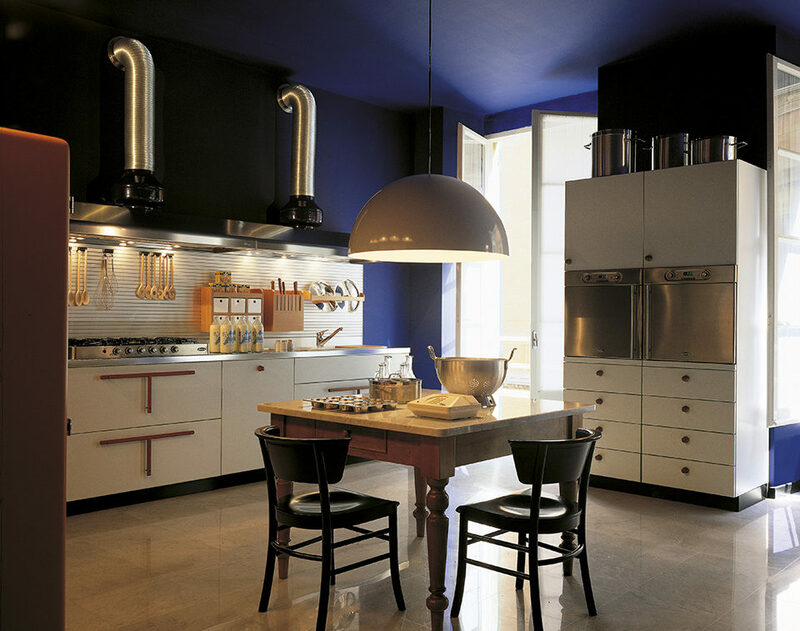 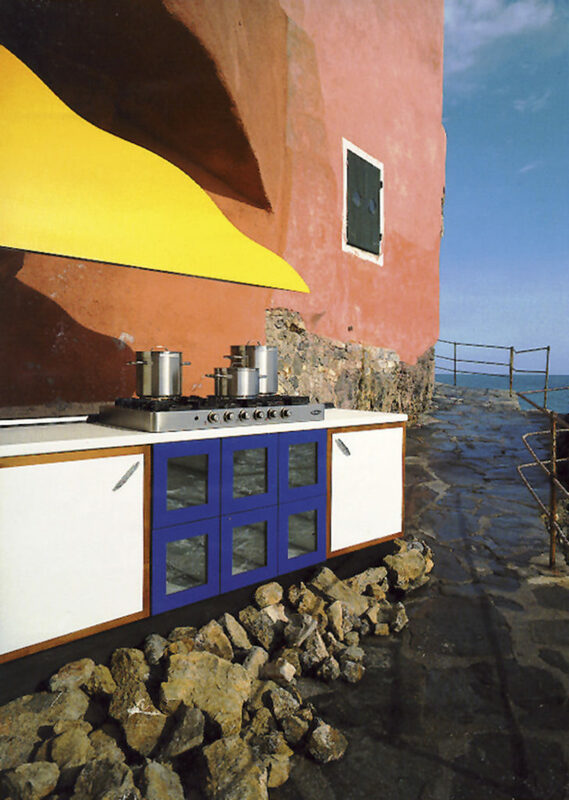 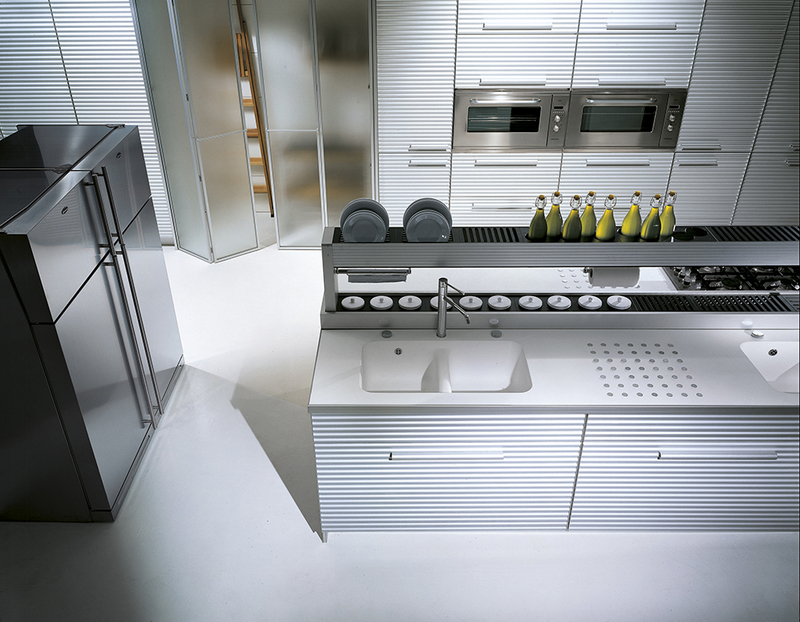 Cinqueterre, that gets its name from the famous coastline of the Liguria region, is Magistretti’s kitchen still in production today made entirely of aluminium and with undulate metallic doors. 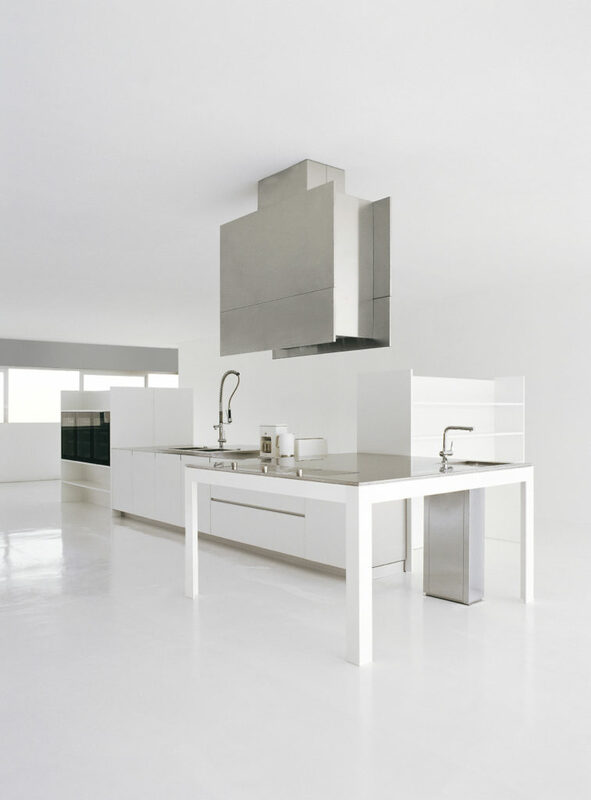 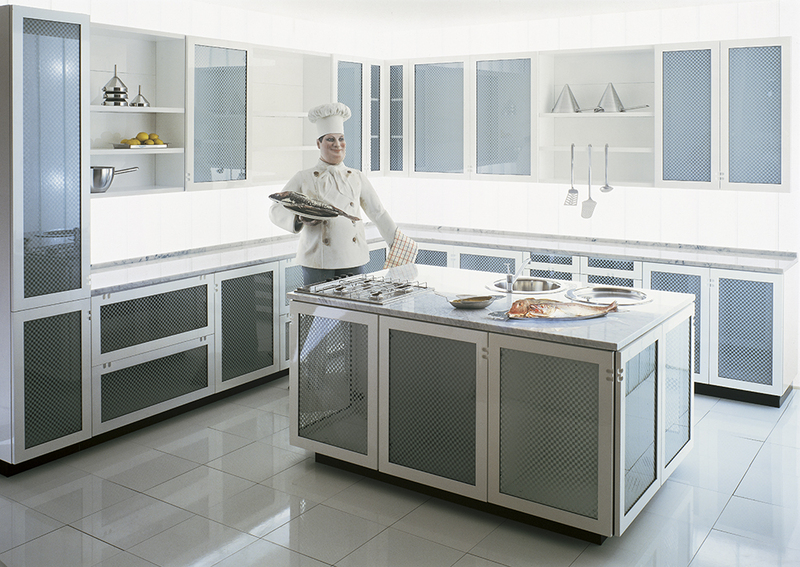 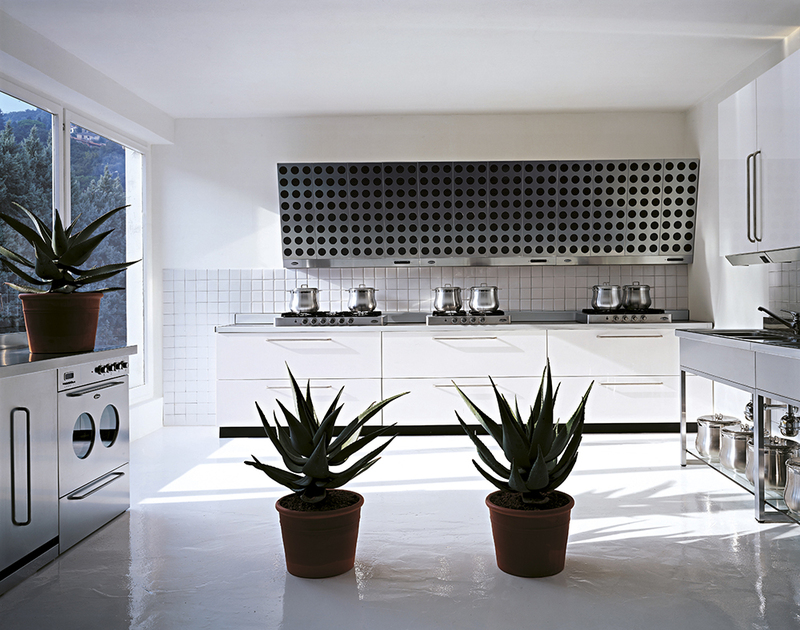 This is all possible thanks to the Al System: now it is possible to make a kitchen fully in aluminium. 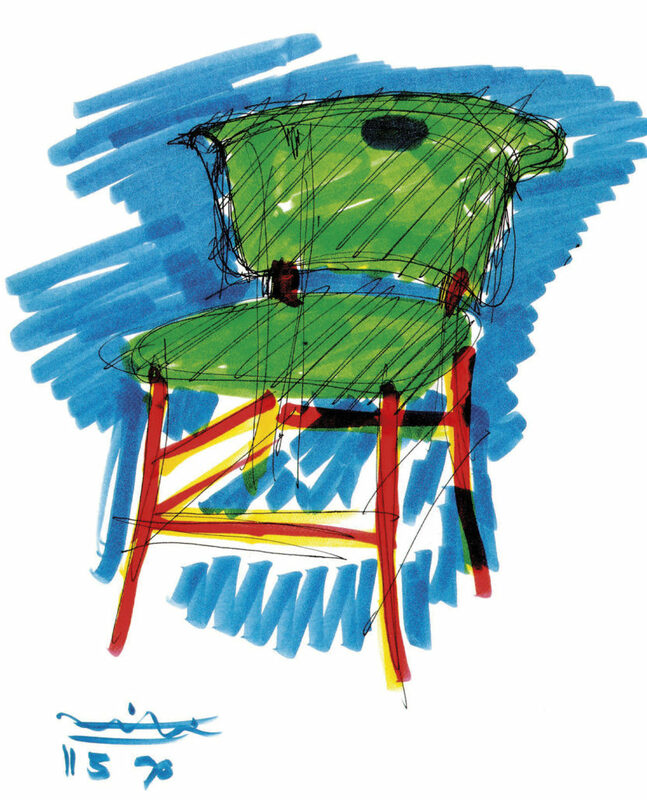 Schiffini’s Foundation hosts the great retrospective exhibition dedicated to Magistretti’s design in Genova’s 17th century Palazzo Ducale, where some of Schiffini’s pieces are also displayed. 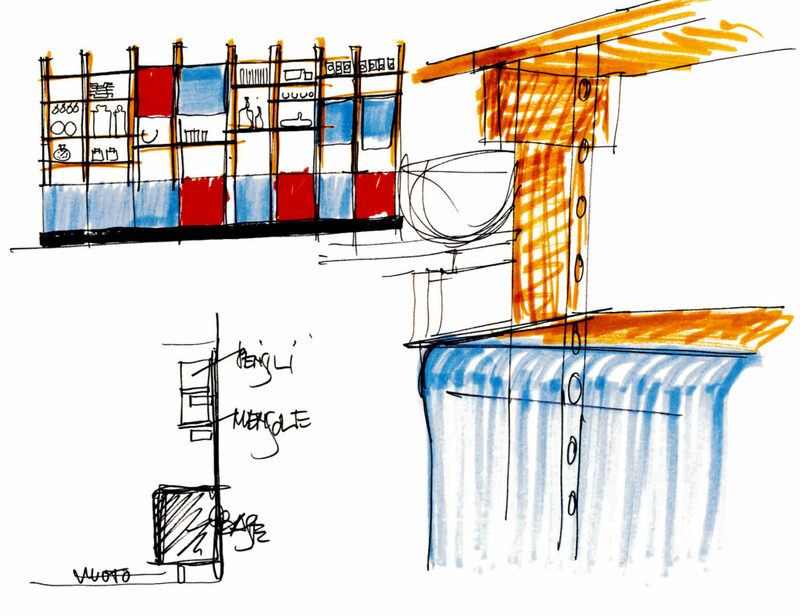 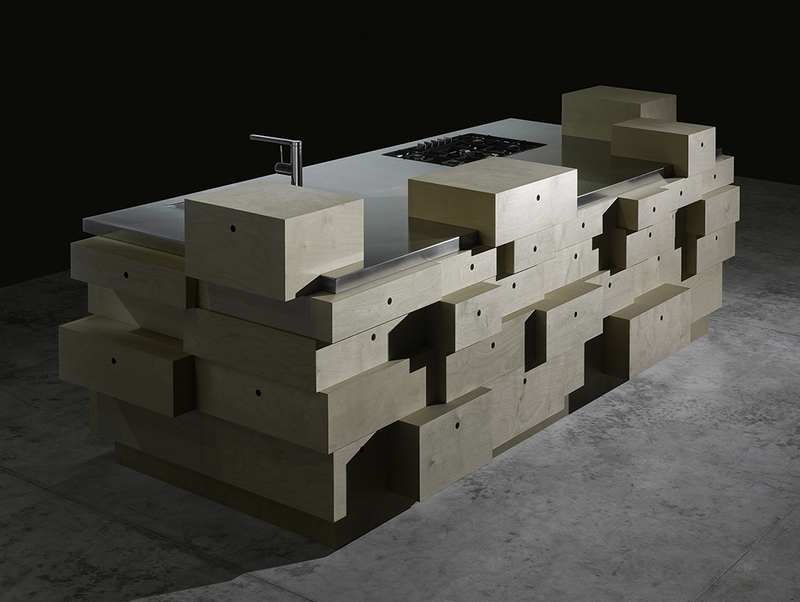 The beginning of the collaboration with Argentinean designer Alfredo Häberli producing the kitchen Mesa, table, soul of the house, with the big island whose two ends are in wood and steel. 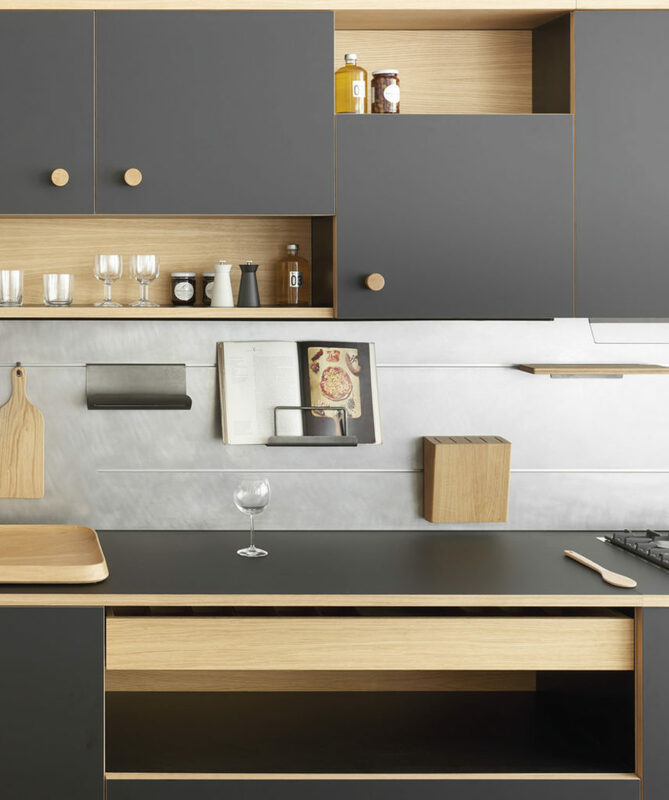 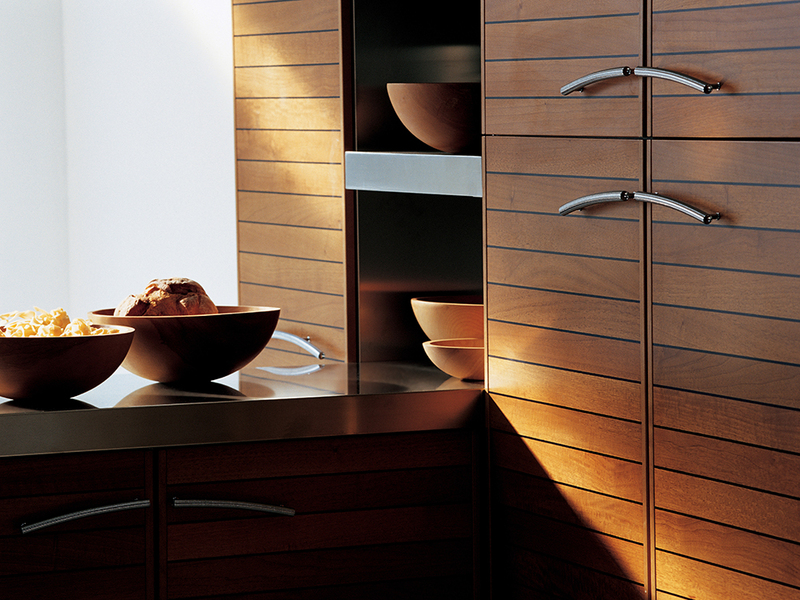 Homage to Argentina is also the Pampa kitchen, in which Häberli resolves the problem of doors opening with the “pocket” handle carved in the door: a highly technological solution and expressively minimalist. 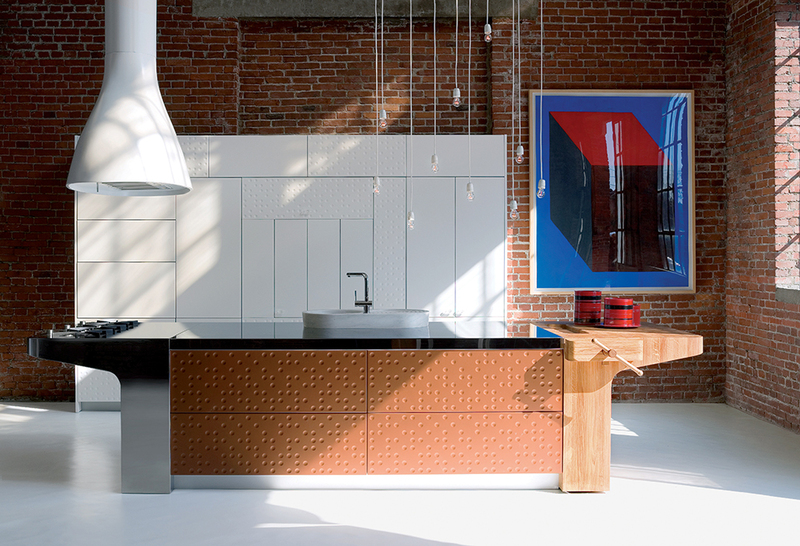 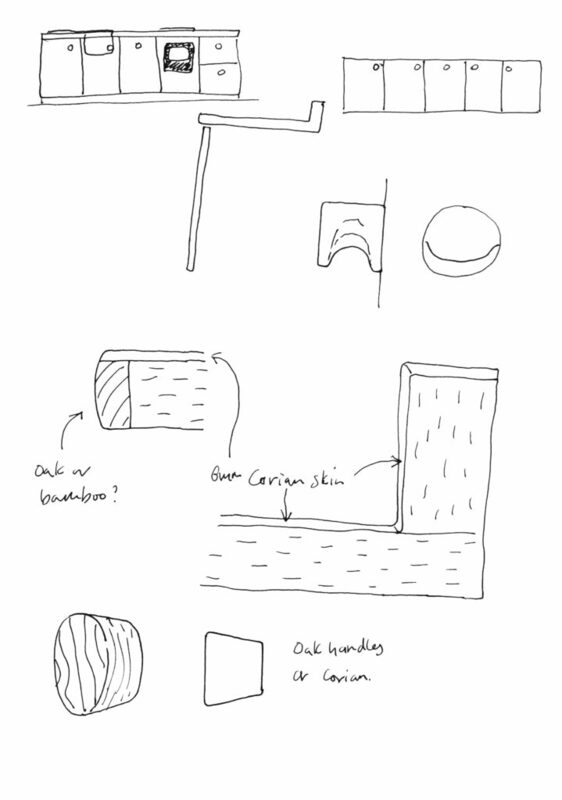 Designed for the Handmade of Wallpaper 2010 event, The Drawer Kitchen started production in April 2014. 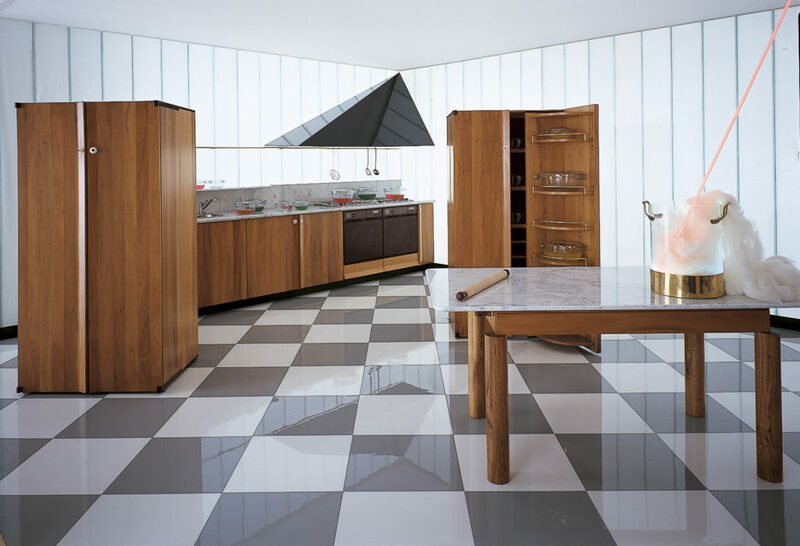 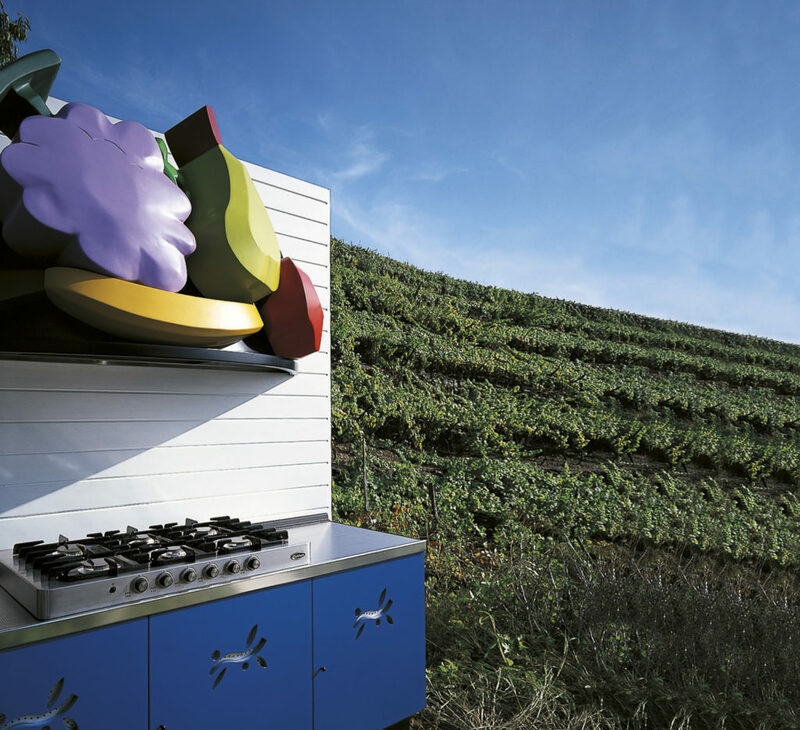 The Gitta Gschwendtner project for Schiffini interprets the kitchen as an architecture. 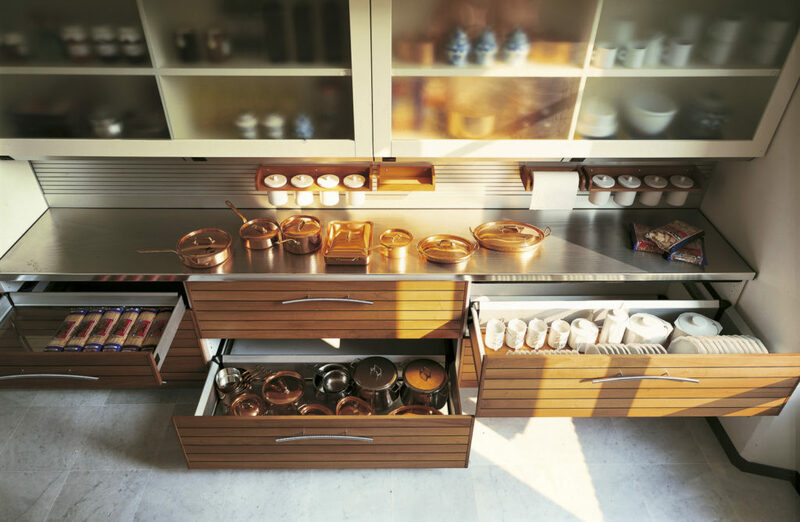 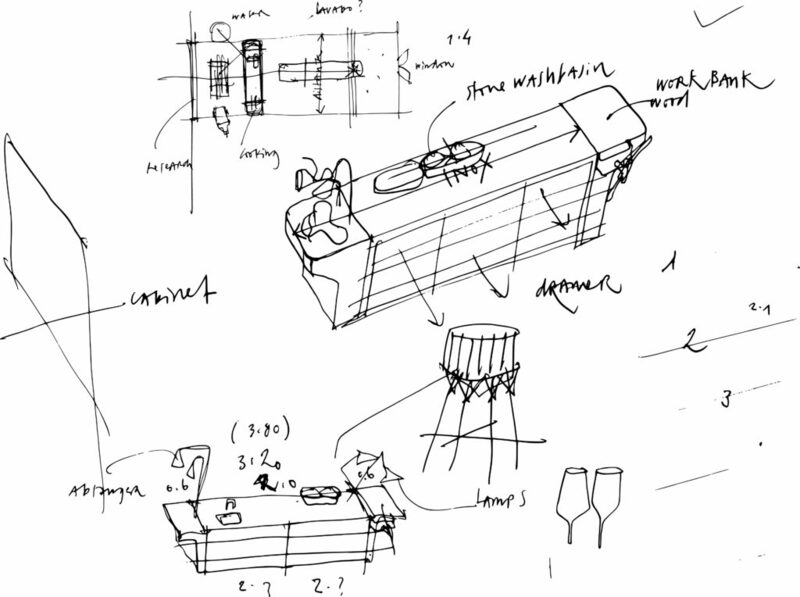 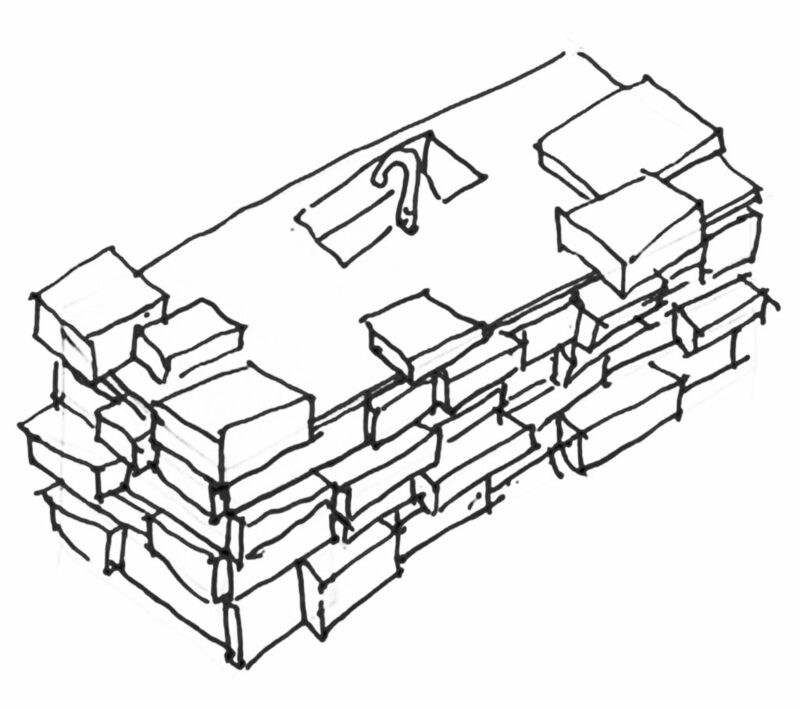 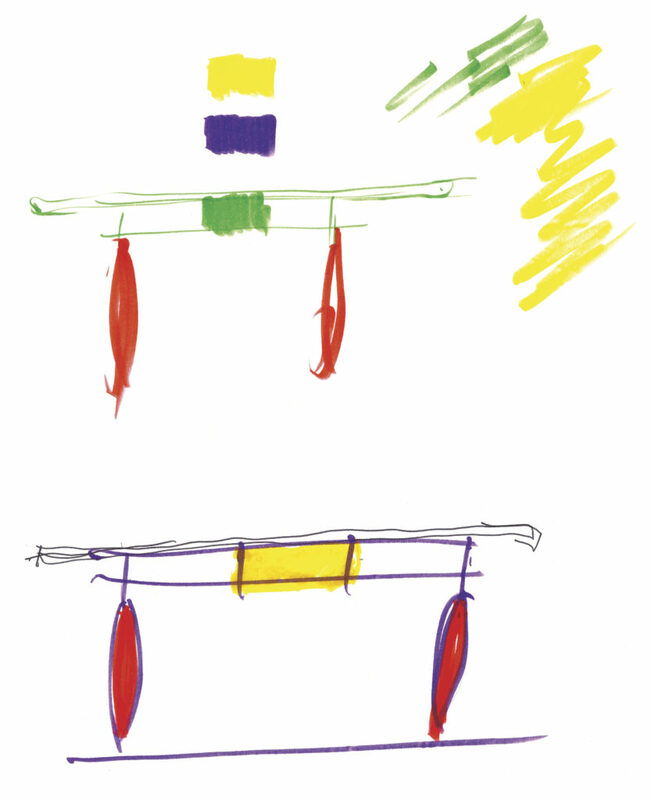 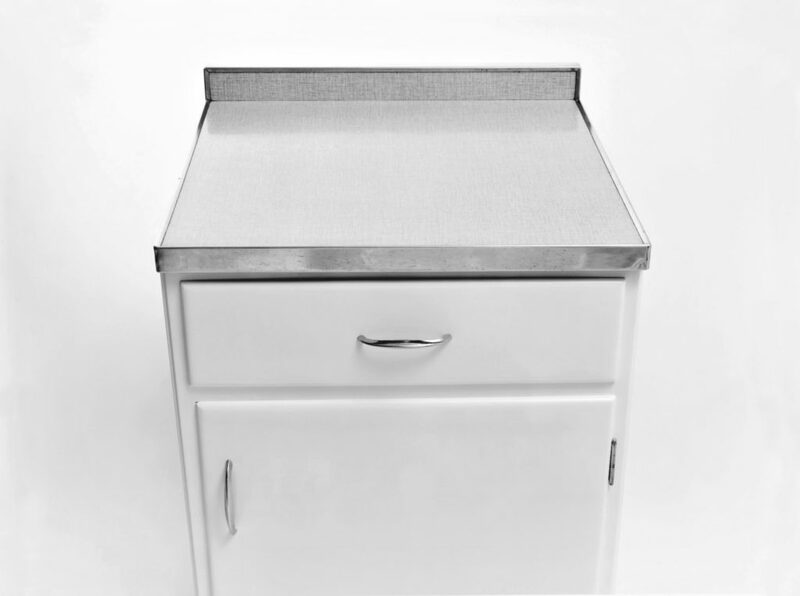 The sketch of The Drawer Kitchen is a sculptural volume that holds, and with a gesture offers food, kitchen utensils and objects. 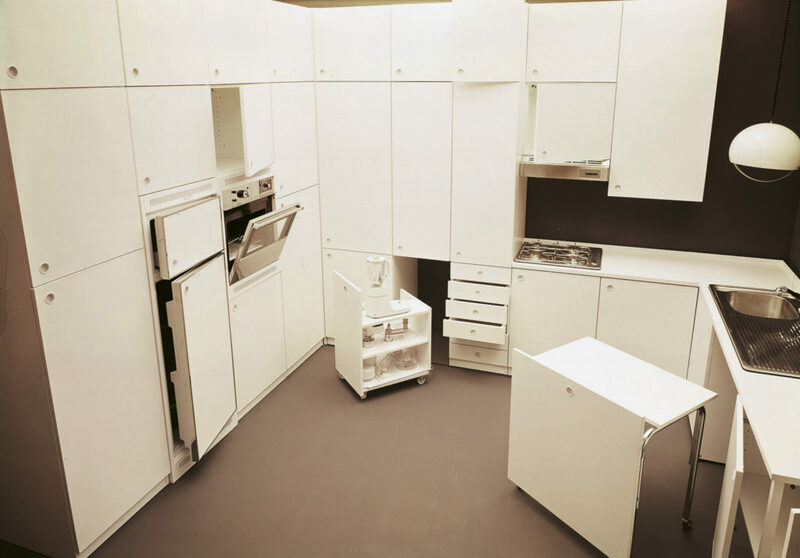 Jasper Morrison for Schiffini: Lepic is born. 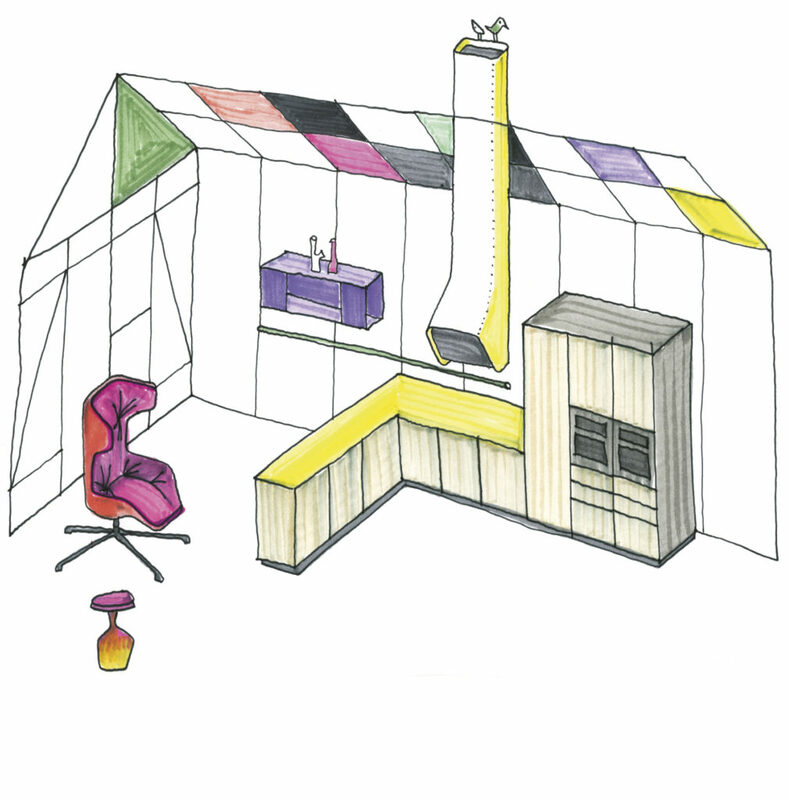 A project that refletcts the creative philosophy of the designer, based on the “Super Normal” concept. 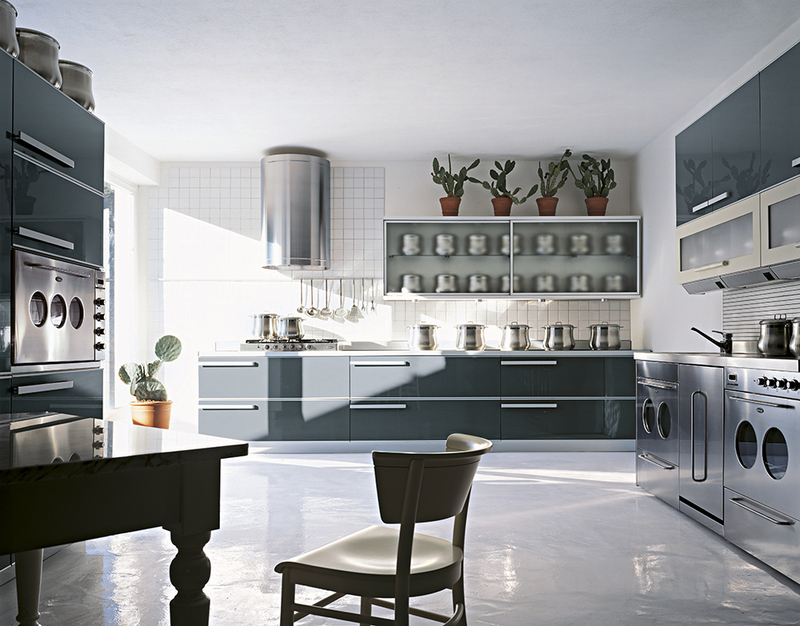 Lepic is an apparently simple system full of variants with precise details of carefully planned combinations of different materials.